1936. Nancy Hereward, a young woman with communist sympathies, travels to Berlin to deliver papers to a Jewish scientist seeking to escape Nazi Germany. A few weeks later she is discovered dead from a heroin overdose. Despite the police and coroner ruling accidental death, her friend Lydia and her neighbour, Cambridge history don, Tom Wilde think it might be murder. A few miles away, a politician and his wife are brutally murdered, seemingly by communist agents. Wilde visits the scene with Philip Eaton, a Times journalist. He senses that the murders have been staged and that there might be a link with Nancy’s death, given they were the parents of one of her best friends. Old friends seem to be gathering in Cambridge, including a senior member of Stalin’s intelligence service fresh from the civil war in Spain, and an ardent Nazi who is a member of Hitler’s bodyguard. In London, pressure is mounting for the King to abdicate over his affair with Wallis Simpson. Wilde seems to have stumbled into an unfolding conspiracy of some kind, which he’s determined to unravel. 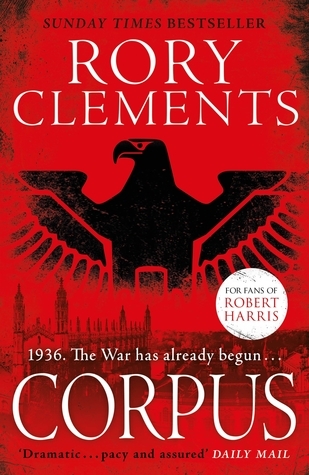 Corpus is the first book in the Tom Wilde series set in the years leading up to the Second World War. Wilde is a history professor at Cambridge University specialising in the key figures and practices of intelligence in the Elizabethan and Jacobian era. He’s somewhat of an outsider, being American by birth and citizenship, with an Irish mother, but has spent a lot of his childhood and adult life in England. He has a kind of Indiana Jones persona, using his knowledge, position and boxing skills to help solve mysteries. In this case he stumbles into a web of conspiracies involving communists, Nazis and British intelligence, and missing Spanish gold, the saving of Jewish scientists from Nazi Germany, and the abdication of King Edward. It’s very much a Boy’s Own tale of adventure, with Wilde pitching his skills against professional nasties of various political hues. The story rattles along with Wilde calmly taking on all-comers as he helps his neighbour Lydia get to the bottom of a trio murders and in so doing prevent a major political incident. 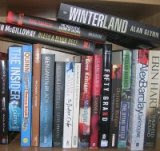 The story is populated with a wealth of colourful characters and has plenty of intrigue and escapades. And if one can park the fact that it is largely unbelievable throughout and if pressed some of it makes little sense, it’s an engaging read. (For me, the logic and execution of the conspiracies, in which key actors and acts deliberately drew attention to themselves, ran counter to a secret mission and seemed unlikely, though it did create tension, action and kept the pages turning.) Overall, an entertaining slice of speculative, if fanciful, historical fiction.